As promised here are the ratings results for April 17-24 beginning with the latest report for Thursday night featuring the return of ABC's hit line-up. Weekend ratings (Friday to Sunday) will be posted on Monday afternoon. Recent behind-the-scenes changes at "Ugly Betty" may be an indication how unhappy ABC honchos are with the show's declining ratings and they won't be any happier after this week's disappointing return. Year-to-year the show is down 19% in the demos. The return of the 9pm battle between blockbuster dramas "Grey's Anatomy" and "Crime Scene Investigation" was quite worrying as both shows fell considerably from their spring 2007 levels (-25 and -20% respectively among adults 18-49). NBC's attempt to give "30 Rock" a boost by swapping timeslots with Scrubs wasn't successful as "The Office" fell in the once-again ultra-competitive Thursday at 9pm timeslot. There was also bad news for CW's "Supernatural" which scored one of the worst results in its 3-year run. 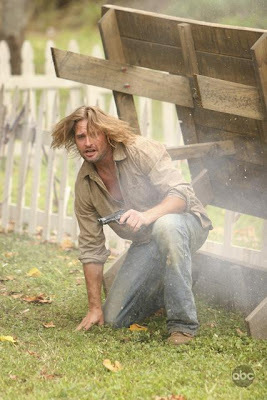 "Lost" won the 10pm timeslot among adults 18-49, although CBS' old-skewing "Without a Trace" was dominant in overall viewers.